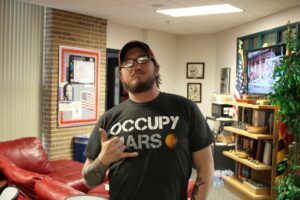 John Moseley, 32, a marine, FCC student, and newly elected president of the FCC veterans’ club looks to build comradery between veterans at FCC. “Six years ago, I got the go ahead to start the department. 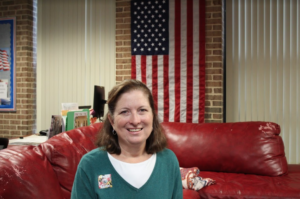 I felt like we could do more to make sure our veterans understood how their benefits and academic advising mesh together,” said Rachel Nachlas, the Director of Veteran Services, on the founding of the Veteran Services Department at Frederick Community College. Rachel Nachlas, Director and Founder of Veteran Services at FCC. 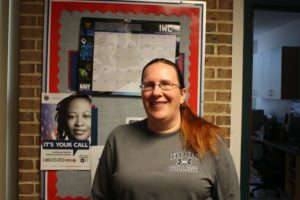 Nachlas has worked at FCC for 23 years and has been the director of Veteran Services for six years since she started this “one stop shop” for military students. Veteran Services allow military students to do their intake, application, and show how to apply for VA benefits. Veteran Services also gives advice on academics, graduation, transferring, and offers good support systems. The Veteran Services department at FCC is extremely helpful for military students. 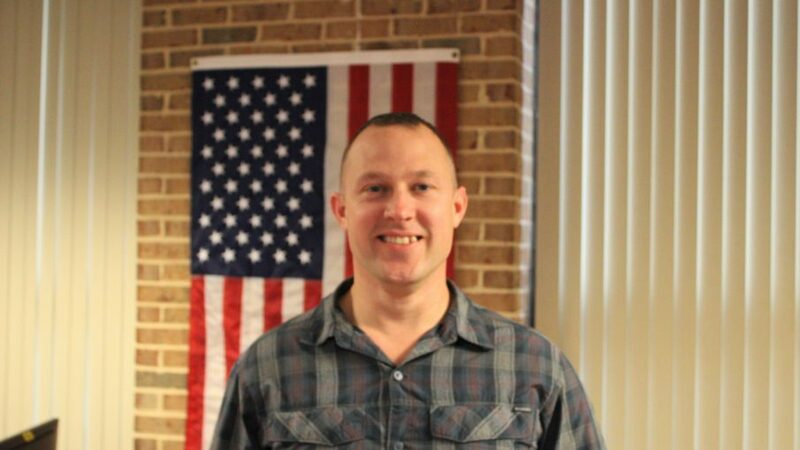 “Best veteran services in the country,” said Hans Palmer, 33, a Marine Corps infantryman veteran and second-year FCC student. Veterans praised the department for its usefulness and accessibility. Peggy Trujillo, 41, a Navy veteran, FCC graduate and Hood College student runs a blog on women in the military. Trujillo taught at Fort Meade, obtained her communication speech degree from FCC and is currently working towards her communication art degree from Hood. Trujillo is working towards becoming a college professor. She writes a blog called Women and the Military, which focuses on females in the armed forces. “The easiest part of transitioning from the military into college life was the academic and education part. I taught, and I actually want to become a professor. The hardest part was being in classes where students showed a lack of caring,” Trujillo said. Hans Palmer, 33, a Marine Corps infantryman veteran and second-year FCC student. Hans Palmer looks to find a rewarding major and career that gives him that sense of purpose that he found in the military. “The hardest part about transitioning from the military into college was finding that sense of purpose. After being a Marine infantryman, it was just figuring out what do I do now,” Palmer said. Palmer works at the office for the Veteran Services at FCC and is also a full-time student. He is working towards getting his degree in engineering. “The easiest part of transitioning was the ability to sleep in,” Palmer jokingly said. Many veterans speak on how they cannot find the comradery in the civilian world that they had in the military. John Moseley, 32, a marine, FCC student, and newly elected president of the FCC veterans’ club commented on transitioning back to school. Moseley is a part-time student at FCC, attended FCC for two years, and is a STEM engineering major. “The veterans’ club builds comradery between veterans through educational, social, and recreational events,” Moseley said.